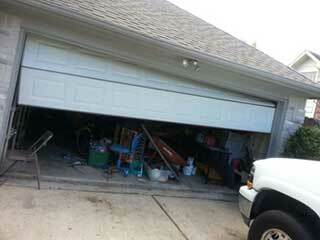 A garage door that won't open or close when you want it to can be a major hassle. Needless to say, the last thing you want to do when you're in a rush to get to work or when you return home at the end of the day is to deal with it. Well, here's the good news – you don't have to. All you need to do is give Gate Repair Malibu a call. Did one or more of your garage door springs just break? That's frustrating. In fact, that's also quite dangerous. Don't try to DIY the situation, as these units work by utilizing incredible tension, and mishandling them can have catastrophic results. Why put yourself at risk when you have professional technicians at the tips of your fingers? There are all sorts of reasons for this type of malfunction. From electrical glitches with the opener's circuit board to bent tracks or broken nylon rollers. It can be very hard to figure out exactly what's wrong, especially if the problem isn't immediately evident in the form of obvious physical damage. You can check the cables to see if they broke or have become frayed or tangled, but whatever you do, don't try to fix the problem yourself. An average garage door can weigh upwards of two hundred pounds, and you don't want it to come crashing down on you unexpectedly. While sometimes your remote control may fail to work simply because its batteries are dead, there's a slew of other reasons why this type of problem may occur. Many of them have nothing to do with the remote, but involve the electric opener instead. This complex motorized device consists of both mechanical and electrical components, so you can probably guess how extensive the range of potential issues is. From broken chains and motor gears to corroded electrical wires. If you need a professional to troubleshoot the unit and fix whatever's wrong with it, look no further than Gate Repair Malibu. Use the scheduling system on our website or call our service hotline today to set up an appointment.